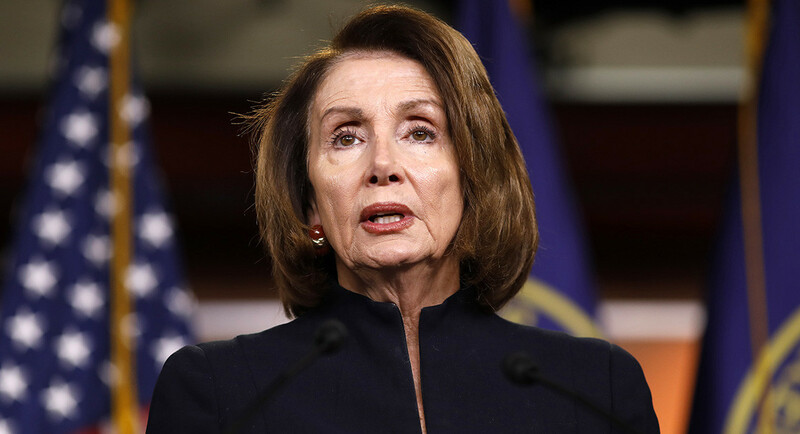 Pelosi, responded to the November employment report that came out today which showed that a record 156,795,000 were employed in…. Is this so called human being brain dead or what? she is na IDIOT AND CRIMINAL AND TRAITOR LIKE THE REST OF THAT COMMUNIST DEMORAT SCUM. THEY ALL NEED TAKEN DOWN, BY ANY MEANS POSSIBLE. wait and SEE, that within TWO YEARS if not SOONER, WE THE PEOPLE WILL BE INTO A SHOOTING WAR WITH THESE PETTY TYRANNICAL SLUGS. WE ARE NOT GOING TO BE RULED BY THEM. As always Pelosi spins all things to conform to their agenda. I do believe employment is up but those gov. numbers have always been a sham. Get all unemployed people to stop looking for work and the number would be 0. IMO, Trump did not lay a good foundation for the economy. Had he repealed 0care, given us “tax reform”, built the wall and deported all illegals, as well as reformed welfare, as well as a few other policies he campaigned on we would have a strong economic foundation not based on a capricious Market.